There is no minimum order for collections. Collection times are strictly between 8am-5.00pm Mon-Fri & 9am-12pm on (Saturday pre-arranged on request). To reduce waiting times it is recommended that all collections be ordered at least one hour prior to arrival. In the event where customers repeatedly fail to pick up goods ready for collection will not be able to phone orders prior to arrival and can only place orders on arrival. Deliveries will be subject to varying minimum values depending on areas. Generally, minimum order value will be equal to distance from Arkfw as shown. Orders delivered to locations which are different from their booked-in address at the time of ordering will incur an additional delivery charge. All courier arrangements have to be made by the customer. At time of collection the courier must know who he/she is collecting on behalf and an itemised list of what is to be collected. Payment must be made before collection. Please note that due to their handling procedures returns from courier companies will not be accepted. All collections have to be signed for. Courier drivers have to follow the same rules as for all customers and are expected to queue in an orderly fashion. Drop Shipping "Using ARKFW Courier Services"
ARK furniture is liable for any damages caused via the drop shipment facility, any delivery consignments will be covered free of charge by ARK Furniture. This is not applicable if you use your own courier service for drop shipment. all items that have been damaged in transit, will not be collected by our courier and it is a customer's responsibility to acknowledge this. Furthermore ARK furniture would require some photographic evidence. Goods will normally be delivered via courier to the door only and Ark Furniture Wholesale will take no responsibility for damage caused when delivering goods in the house. In the event where booked orders have either been refused, wrong items ordered, or there is no one available to take delivery the customer will still incur a failed delivery charge. All orders will be delivered within 3-5 working days between 9am and 5pm Monday to Friday unless otherwise arranged. It is the customer's responsibility to ensure all information supplied at point of booking in is correct and accurate and ensure their customer is available to take delivery. All orders must be paid in full before dispatch. Drop Shipping "Using Your Collection Services"
We offer a drop shipping service where any item can be delivered directly to your customer in the UK. The delivery will be booked in by the customer who then has the full responsibility to provide Ark Furniture Wholesale, Customer Purchase orders, with reference to customer consignments and manifest. All the items will be checked and wrapped with extra packaging where necessary before collection. The delivery service offered is to collect from Ark Furniture Wholesale via your courier service. ARK free delivery service is now available! We have just launched a free delivery service to Ark customers. 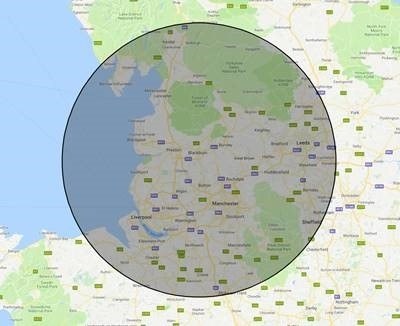 Any orders over £500 within the radius of 50 miles will subject to free delivery (excluding open mattresses). This service will be available to Ark customers who are in radius of 50 miles England and Wales only. The deliveries will be planned on a week to week basis via book-in service, where will be organising your delivery based on your business address details as this service is business to business only. Please note ARK drivers are not insured to work on the customer’s premises. We are also not able to deliver to any private addresses. Please refer to our image below for our 50 mile radius. Any radius above 50 miles delivery will be from a minimum order value £750.00 Excluding VAT in England, Wales and parts of Scotland. 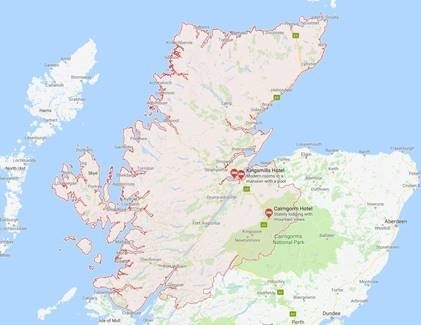 Scottish highlands will be £1000.00 Excluding VAT. It is important that we have established a payment method or made arrangements before delivery. Any cancellations must be addressed within 24 hours prior to arrangement. When you are placing an order and it has to be delivered overseas… please enquire.